Skin-to-skin contact means immediately after birth, your baby is dried and placed unclothed onto your chest against your skin.After the nurse dries your baby, she covers your baby’s head with a hat and then swaddles your newborn in a warm blanket.The first hours of snuggling skin-to-skin gives you and your baby time to get to know each other. If your newborn needs to meet the pediatrician meets first, or if you deliver by cesarean section, you can cuddle shortly after birth.This personal protected time that you,your baby and your significant other spend together is critical in establishing a new family unit. Why we need skin-to-skin contact ?? 1) Research shows that snuggling gives you and your baby the best start for breastfeeding.Your baby will be more aroused to feed and will gain more weight easily. 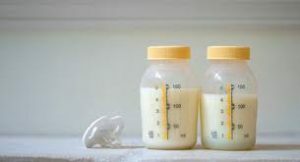 2) Colostrum, the first milk smells like amniotic fluid that surrounded your baby in your womb.Your newborn will smell the colostrum when placed on your chest and will be naturally drawn to the familiar smell. Your chest is the best place for the baby to adjust to life in the outside world. Sin-to-skin contact steadies your baby’s temperature,breathing and heart rate. 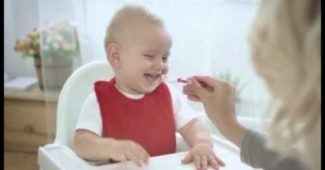 It also reduces stress for you and your baby gives you time to learn your baby’s cues for feeding. 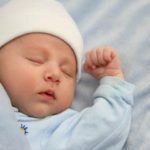 Compared with babies who are swaddled or kept in a crib,skin-to-skin babies stay warmer and calmer,cry less and have better blood sugar levels. Skin-to-skin contact can keep your baby interested in nursing and provides the best opportunity to bond and to get feeding off to a god start. So dads can snuggle too. Fathers and mothers who hold their babies skin-to-skin keep them calm and cozy.